Carlos Takam sealed a seventh-round knockout win over Senad Gashi to keep alive his hopes of another major heavyweight fight. The France-based Cameroonian banished memories of his crushing defeat by Derek Chisora at the same venue as he floored Gashi on three occasions to complete victory at The O2. 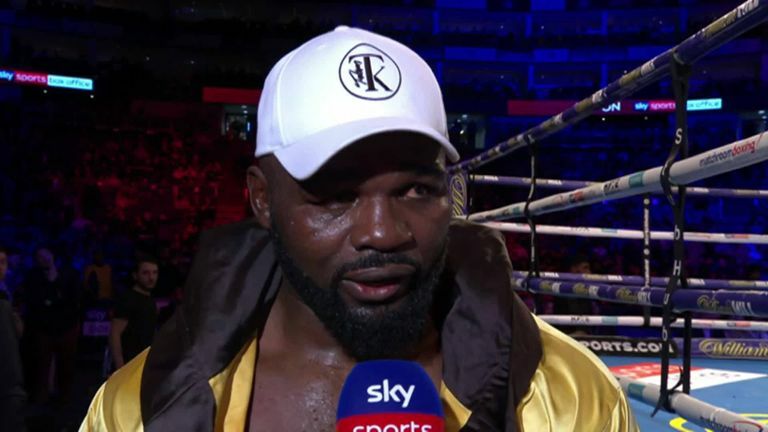 Takam had also shared 10 rounds with Anthony Joshua in a brave stoppage defeat to the world champion and called for a return to Britain for a rematch with Chisora. In a tentative opener, Takam edged forward to deliver a few hooks, and the watchful Gashi remained on the back foot. As Takam trundled towards him, Gashi responded with an eye-catching flurry in the second, but the German had to withstand a looping hook in the third. With Gashi evading his crude work in the fourth, Takam came out with more aggression and both men traded hurtful hooks from close range in an exciting fifth round. Gashi was showing signs of fatigue, wobbling backwards along the ropes in the sixth, and Takam would bring a halt to the fight in the next round. A short right hand dropped Gashi by the ropes and Takam sensed the finish was near, flooring him again with a barrage of punches, and a left hook produced another knockdown, prompting the referee's merciful intervention. Euro papers: Bale set for loan move?